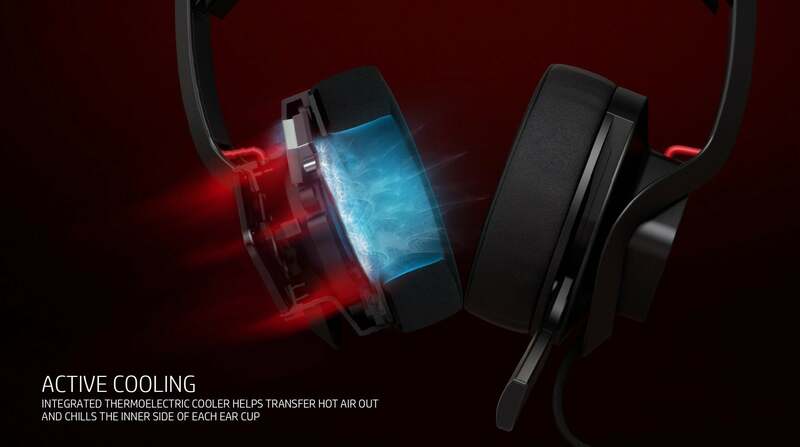 The Mindframe gaming headset will feature integrated thermal-electric coolers to keep your sweaty ears cool. HP's Mindframe headset will feature active cooling to keep your ears from sweating through gaming sessions. Repeat: This new HP headphone has active cooling. For your ears. The Mindframe is just the most innovative of a host of gaming accessories HP announced Wednesday. The company is also introducing its Sequencer keyboard with optical mechanical switches, and the Reactor mouse with an aluminum cable designed to stay flat. The Reactor mouse will cost $79, while the Sequencer key board will set you back $179. Both should be available in June. 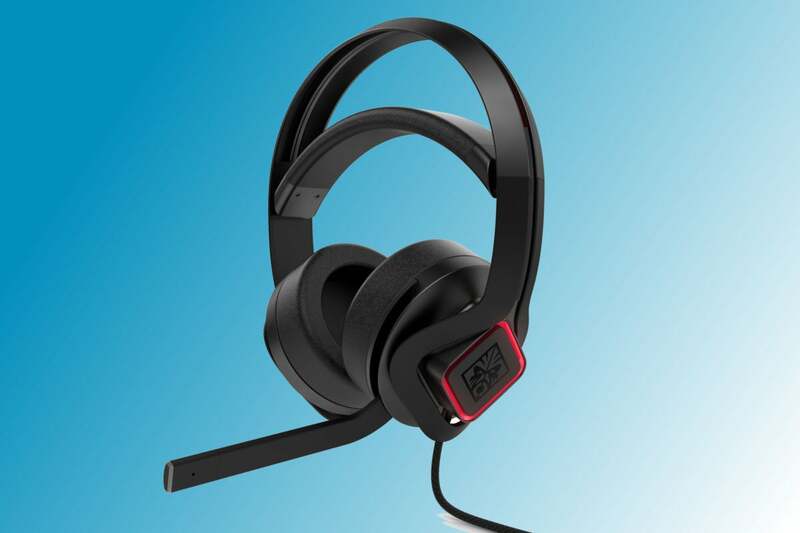 HP says the Mindframe features thermoelectric coolers (TEC) integrated into the ear cups. TECs work by using an electrical charge to create a Peltier effect, which can radiate or absorb heat. The upcoming HP Mindframe headset features thermoelectric cooling to keep your ears comfortable while gaming. TECs have been used for many years to cool computers and cute little six-pack refrigerators, but this would appear to be the first time it's been used to cool a headset. It may seem silly, but HP's research says 46 percent of gamers cited discomfort from heat as an issue with gaming headsets. HP said it's obtained a patent on the concept, so don't expect it from competitors. HP added that the feature can be controlled from the Omen Command Center software. Besides the cooling, the new Mindframe features 7.1 surround sound, RGB LEDs, DTS Headphone: X surround sound, headset-mounted volume, and a flip-to-mute microphone feature. All of this, and the power for the TEC, comes through a USB Type A connector. HP said the headphones should also be compatible with most mobile devices. The bad news: HP hasn't said how much the Mindframe will cost when it's released later this year. So if you're suffering from Hot Gamer Ear Syndrome, you'll have to hang in there for a little while longer. HP's Sequencer keyboard features optical mechanical switches which are "10x" faster than traditional mechanical switches. If you're a gamer who's so good that the "nanoseconds of a traditional mechanical" might cost you the game, HP's Sequencer keyboard could be the answer. 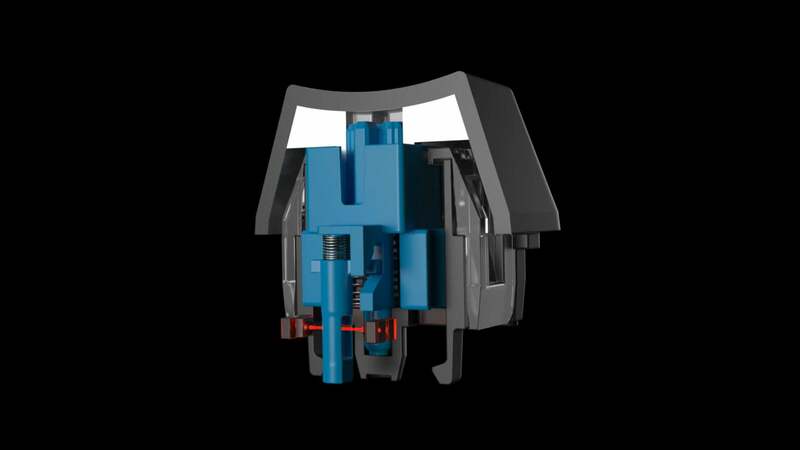 It uses mechanical switches with optical sensors. Typical mechanical switches register contact by bending a small piece of metal into another piece of metal. The Sequence's optical mechanical registers contact by breaking a beam of light. HP says an optical mechanical switch has 10 times' faster response than a metal switch. Of course, 10X is just a few nanoseconds, so are you going to be able to tell? No. But you'll still get bragging rights over your friend's non-optical keyboard. 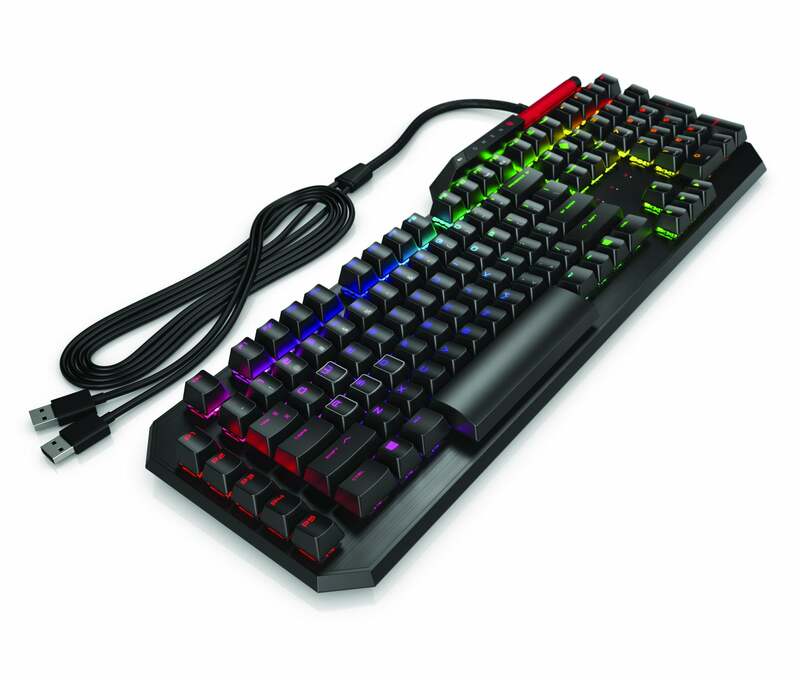 HP's RGB sequency keyboard will feature optical mechanical switches. HP's use of optical switches extends to the new Reactor Mouse, which offers it for the primary and secondary buttons as well as a 16,000-dpi optical sensor. The mouse is fully adjustable, too. The new HP Reactor mouse features a metal sleeved USB cable so it will lie flat. 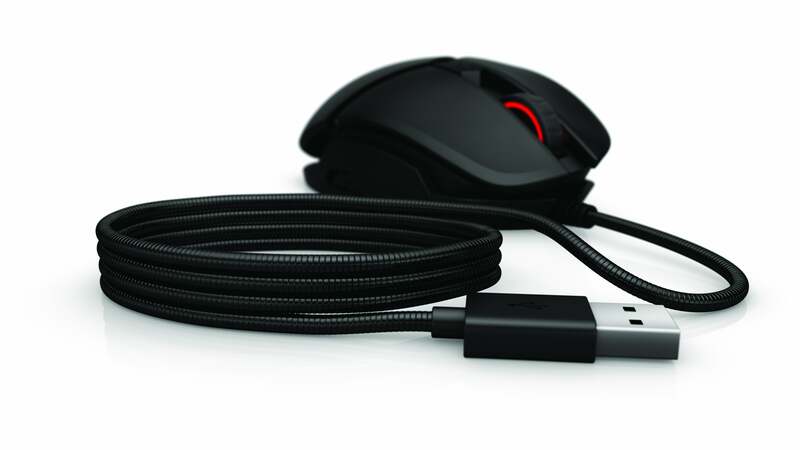 The true first for the Reactor mouse, though, is its aluminum cable. According to HP, it lays flat rather than curling up and knocking over your Diet Coke. HP's Omen gaming accessories have made a big leap from me-too models to these truly innovative products announced Wednesday. We'll tell you more if we have a chance to test them.